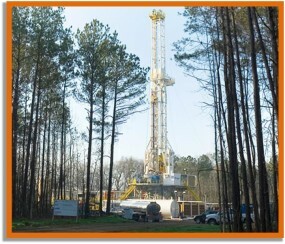 Seidler Oil & Gas is pleased to announce participation in the Widgeon prospect in Acadia Parish, Louisiana. The Prospect is 10,200 TVD normal pressured straight hole test of the prolific Homeseeker section in the South Bayou Mallet Field. The prospect is a downthrown three-way fault trap with attribute enhancement and will be testing the Homeseeker A & C Sands. Total Potential Reserves 3.3 MMBO & 3.3 BCF. Well will be drilled off a land location. Drilling is expected to get underway in May 2019. Disclaimer: There are significant risks associated with oil and gas investments. The above information is for general purposes only and is not a solicitation to buy or an offer to sell any securities. General information on this site is not intended to be used as individual investment or tax advice. Consult your personal tax advisor concerning the current tax laws and their applicability and effect on your personal tax situation.